This entry was posted in Parenting, This Book Will Change Your Life and tagged challenges, death, Life, This Book Will Change Your Life, will. Bookmark the permalink. No one is laughing Kelly. Smart move and not easy to do – if it were we would all do it sooner. Now, take the next step – medical power of attorney and end of life directives. Make those choices for yourself, don’t let some medical person who does not know you decide for you. Already done! Thanks for looking out for me. I’m sticking with the immature, childlike approach and ignoring all this. 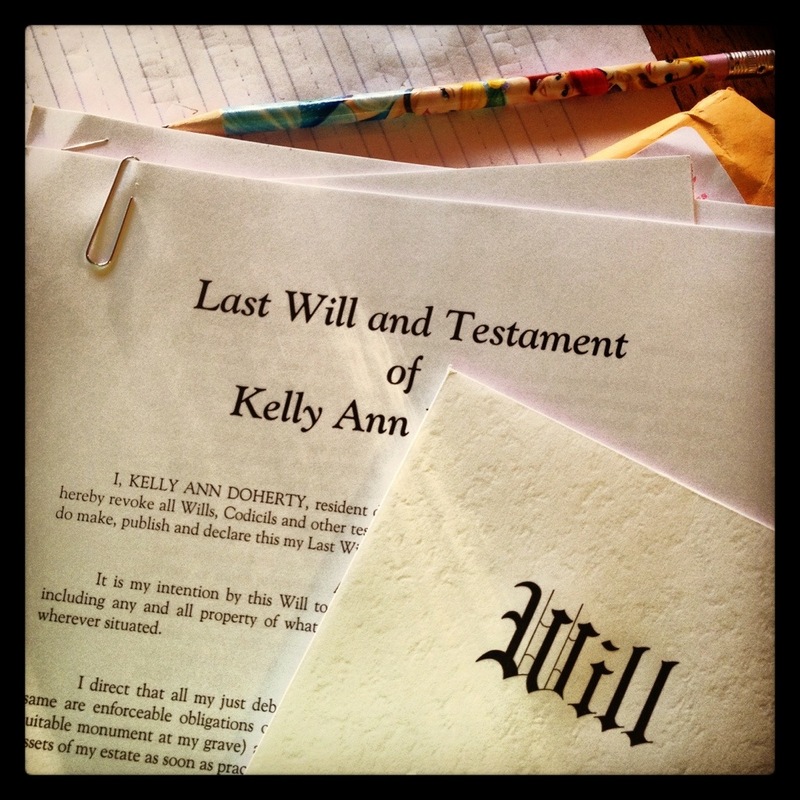 Thanks, Kelly – good reminder for all of us to look into setting-up Wills, etc. It is exhausting to even think about… – maybe that’s why we haven’t. :) Your helpful post may inspire us to get our own stuff in order and others. You go! It was a rotten evening. But now it’s done.